Artwork Panel: 28cm x 45.5cm ≈ 11" x 18"
Silk/Brocade: 36.9cm x 107.7cm ≈ 14½" x 42½"
This Japanese woodblock print reproduction features a courtesan, standing under the eaves of a building, adjusting one of her hairpins. 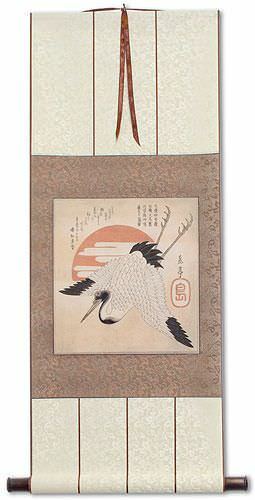 The title of this piece indicates she is a 優女 which can be a gentlewoman, beautiful and graceful woman, or a courtesan. Artist: Migita Toshihide 右田年英 (1863-1925). 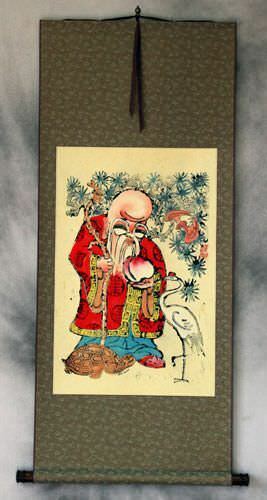 The original woodblock was carved/created in Japan, between 1890 and 1912. There are several similar versions of this composition that were created by the artist between these years. 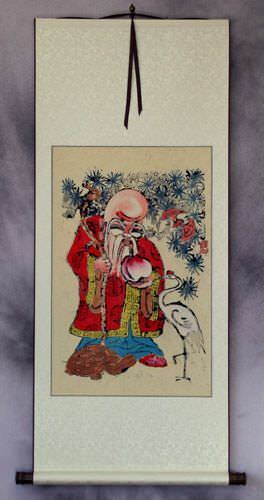 Migita Toshihide was born "Migita Toyohiko" in 1863 in Ōitaken, a small town in Shizuoka Province. Upon graduating from Tokyo's Tsukioka Yoshitoshi art academy in 1892 at the age of 17, he received his art name, Toshihide. 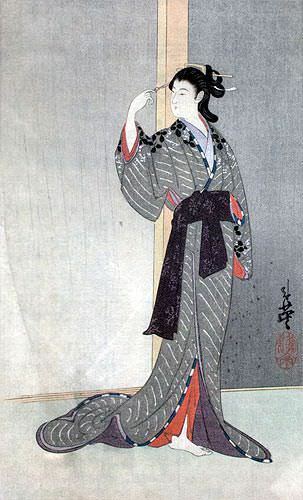 He created many styles of prints bijin (prints of beautiful women) as well as illustrations for novels and newspapers.